A couple Saturdays ago, the latest addition to our team arrived. 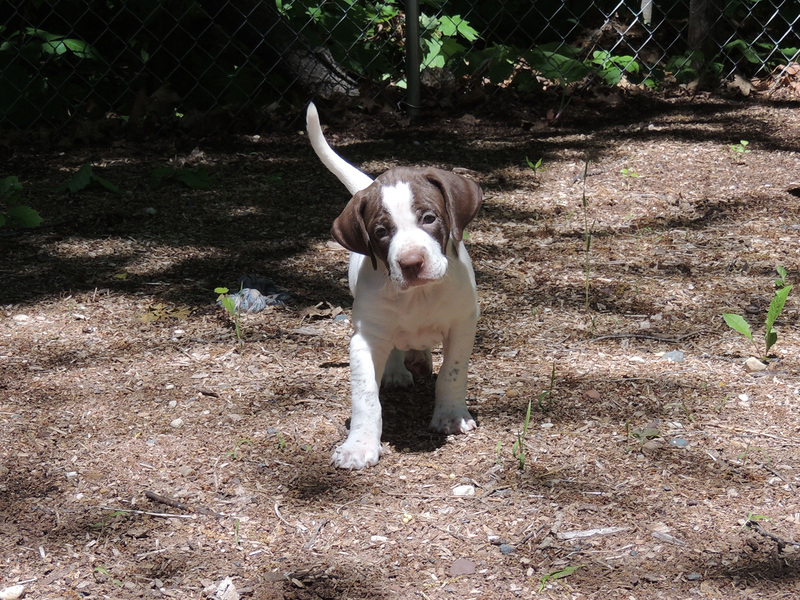 Meet out new pointer pup: Striking Elhew Sky. Sky’s out of Superior Pointers. She’s half-sister to Lexi by the father. 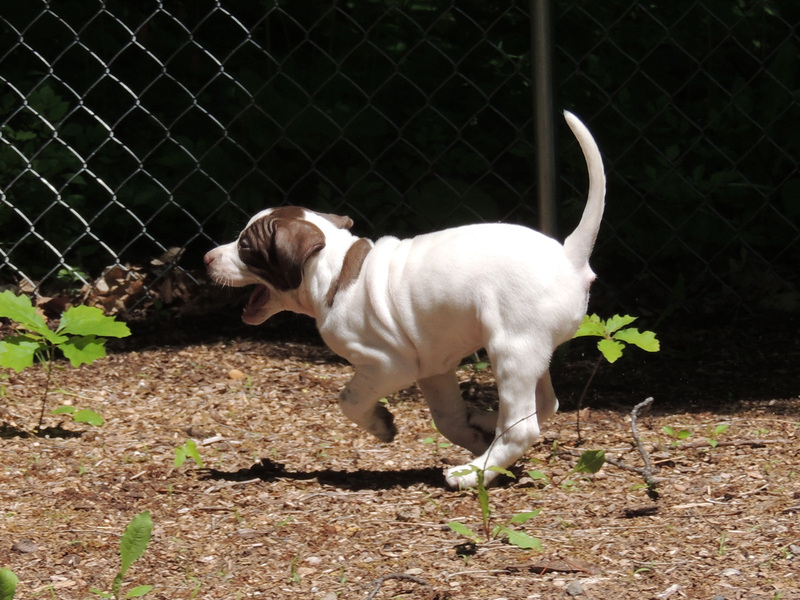 We’re thrilled to have her, and I’m more excited than ever to have another bird dog for this fall. Lexi, back home again, and right back in my lap. I’m not a big fan of the summer. Heat and humidity are my Kryptonites, so by the middle of June I’ve had enough of it. 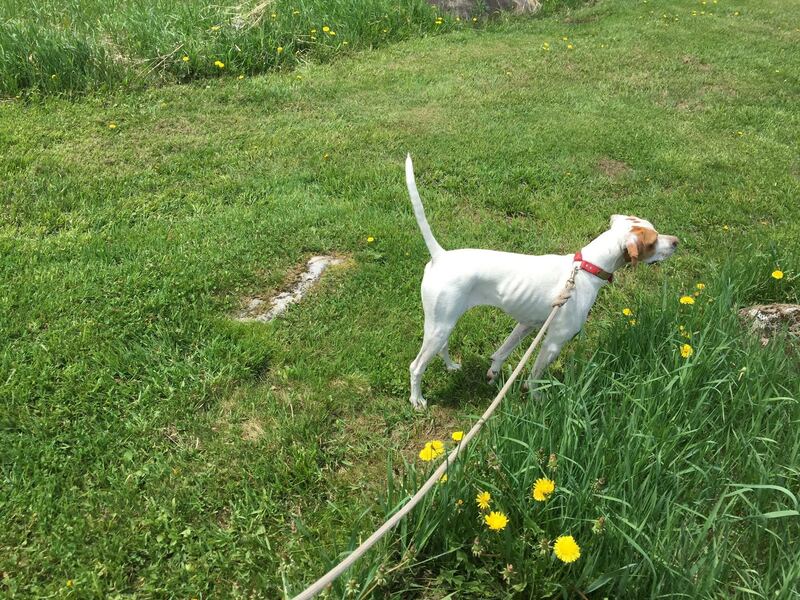 Lexi was up at Wild Apple Kennel in Dummer, NH, from end of May to last week. Her absence made the summer feel even longer. I work from home, and it was a lonely home without her. But enough of my bitchin’. 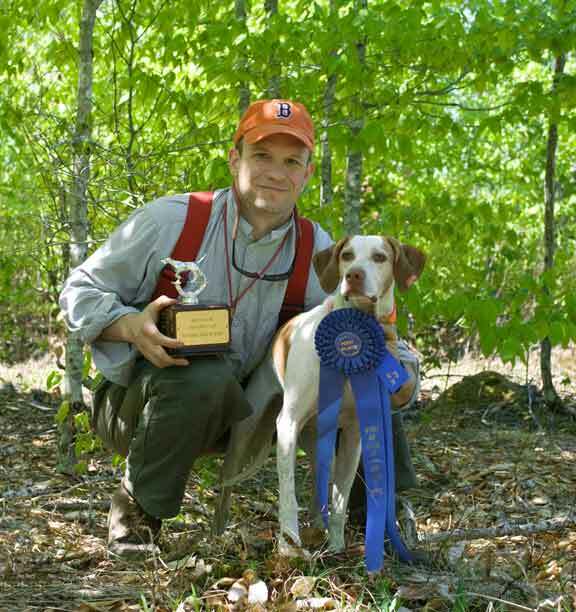 At the New England Bird Dog Club’s Labor Day Weekend Trial, Lexi won Sunday’s Open Restricted Derby Competition. I’m super proud of her – – and very thankful for the great job that trainer Craig Doherty did with her. This was Lexi’s third time in a field trial. Her first time was on August 29, and her second was on the Saturday before her win. So she’s 1 for 3. Not bad. So am I psyched for October? You bet. It’s going to be an awesome fall. More to come on that. BTW: Derby stakes are for dogs 6-24months of age and no more than 2 years of age. 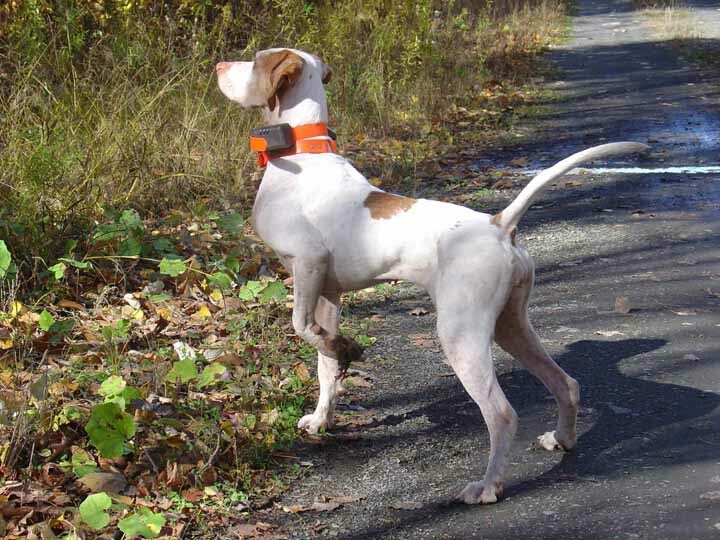 A “restricted” derby is for dogs that have not already placed in a derby stake. 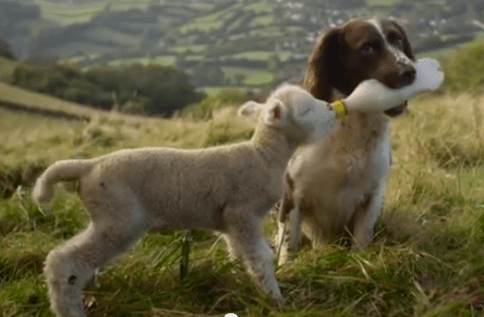 God, this video makes me envious: Of the countryside, of the experience, and most of all, of the dogs. Running birds can frazzle a pointing dog. This setter handles them like she’s done it a million times. It’s time to put some more “dog” in Dogs and Doubles. 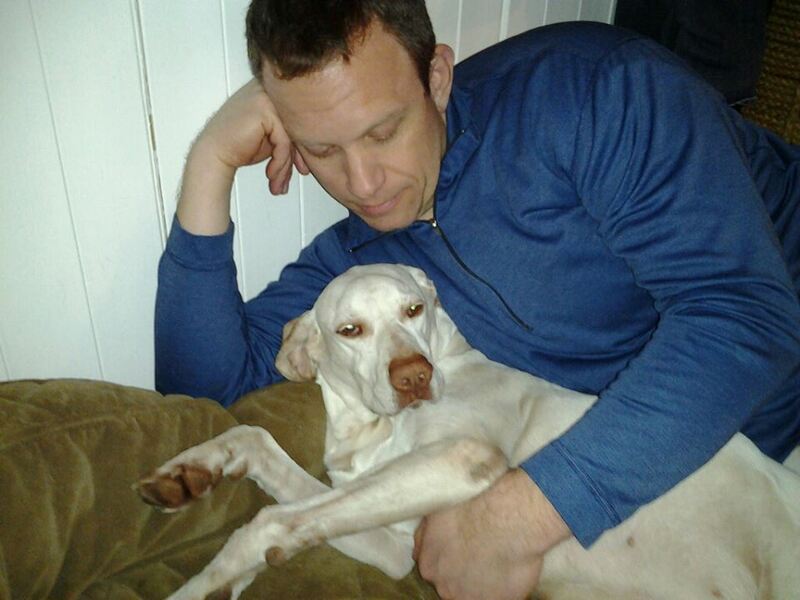 It has been while since I posted any updates on my pointer Lexi. Here are pics and videos to catch you up on her. Lexi was born on April 31, 2014. We’ve had her since July 3. We’ve been thrilled with her since day one. 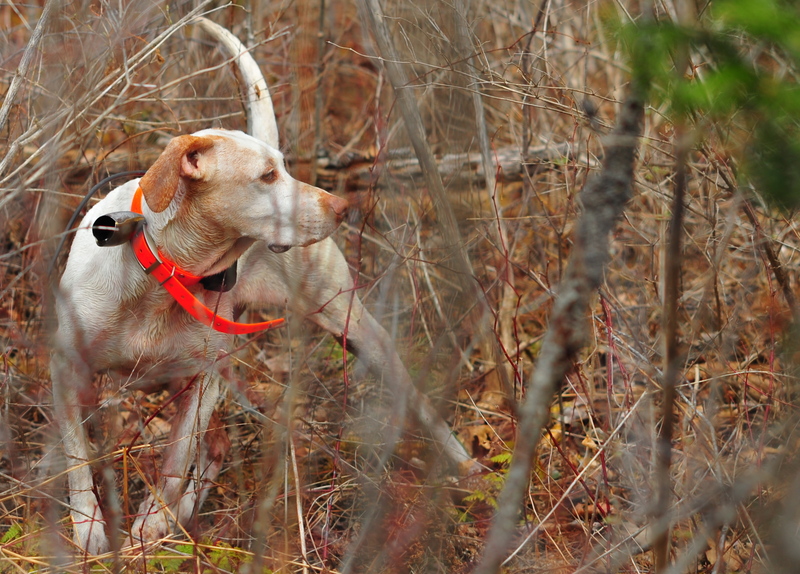 Right now, Lexi’s up in northern NH with Craig Doherty at Wild Apple Kennels. 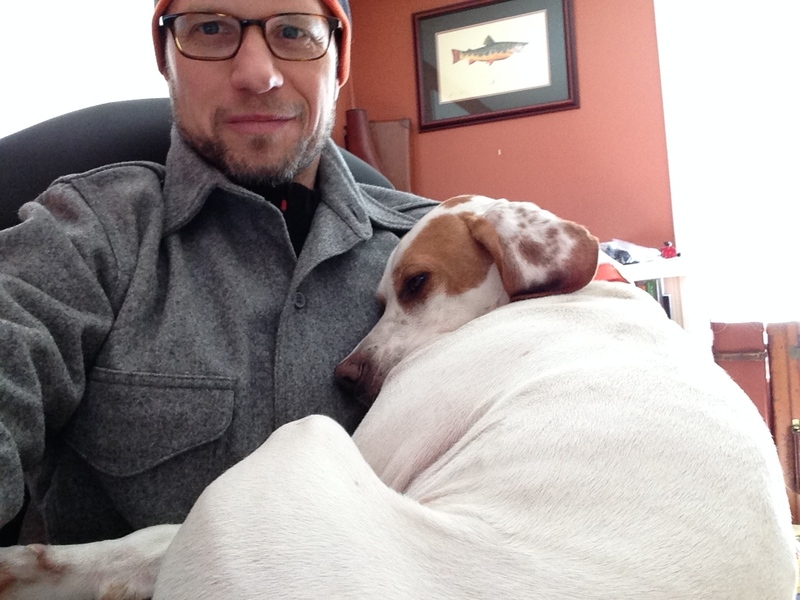 A little lap time last February. Lexi doesn’t like riding “in” her box. I shot this video last March. And these are from last weekend up at Wild Apple Kennels. 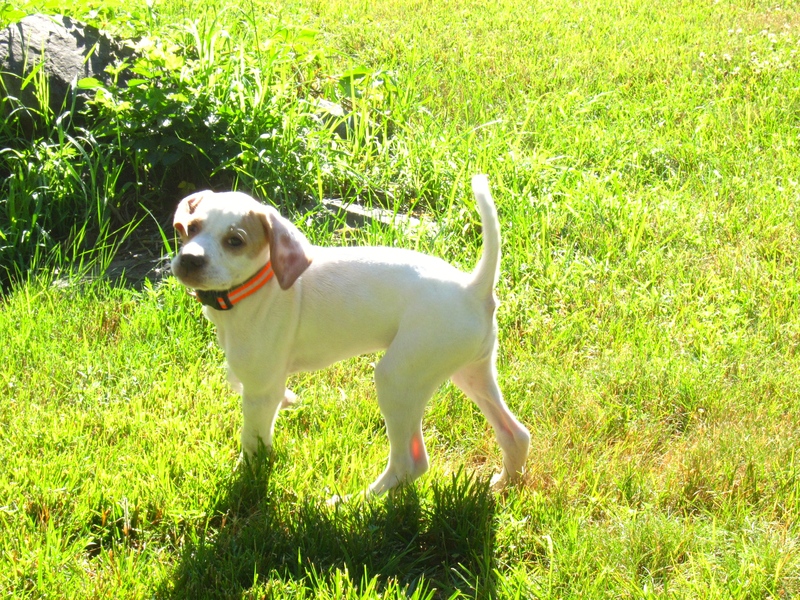 What’s better: neutering at 6 months or holding off? My breeder suggested holding off on spaying, and I’m reading more studies that indicate that doing it may be wise. 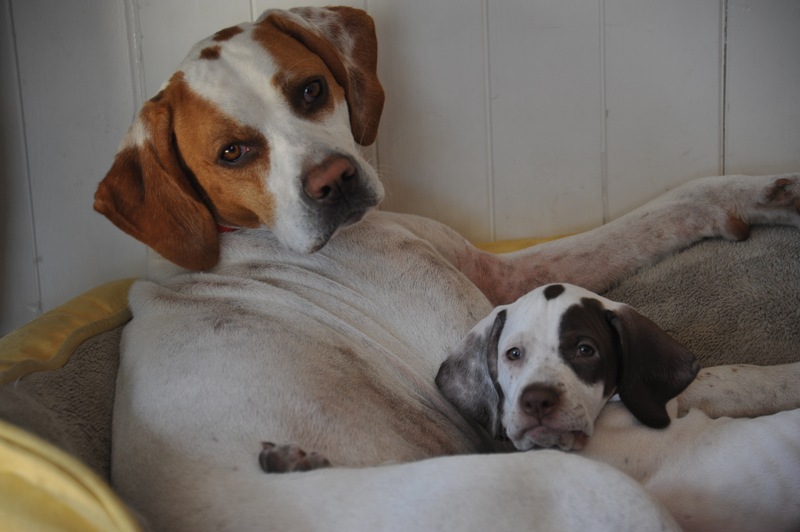 Gundogs: To Neuter or Not to Neuter? 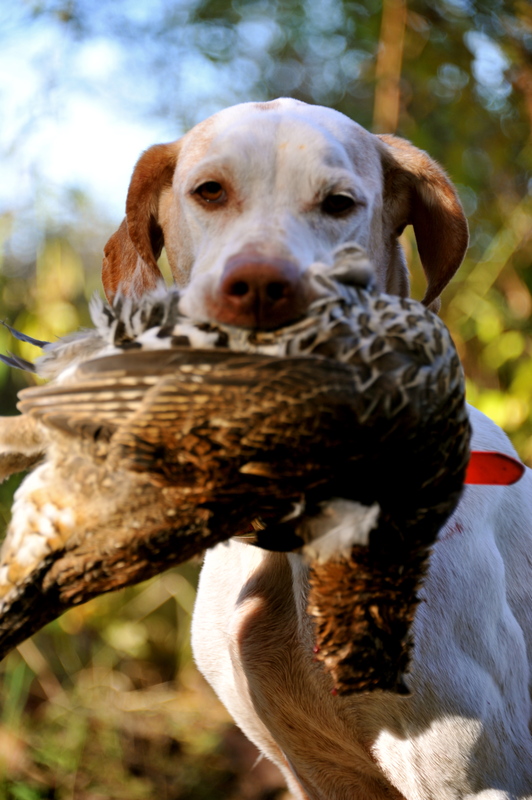 Tom Davis just published a piece called Gundogs: To Neuter or Not to Neuter? in the 8/20/14 issue of Sporting Classic Daily. It does a good job of laying out both sides of the story. If you have a young dog, I suggest checking it out. HUNTING DOGSdog, health, hunting dogs, medicine, neuter, spay, spaying2 Comments on What’s better: neutering at 6 months or holding off? I’m finally back from my fishing trip and some other travels. This past week has been especially busy: I started a new job on Monday and on Thursday this little bundle arrived. 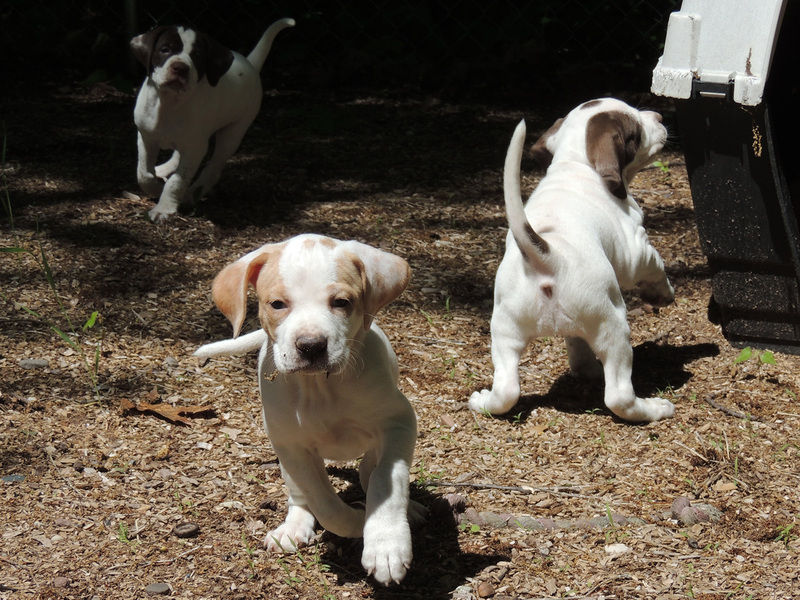 Here are the latest pics of the pups. These were taking on June 8th. 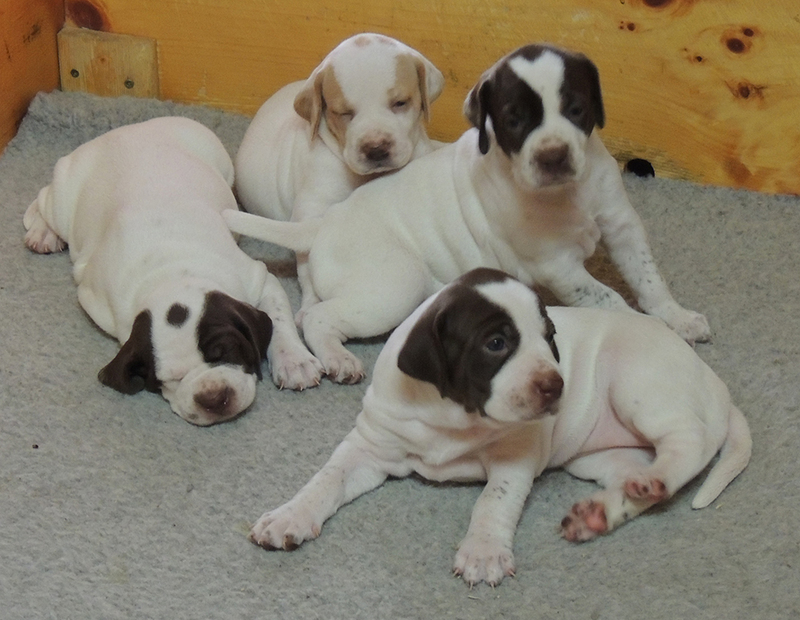 These pups are from Superior Pointers in Bayfield, WI, and they’re just about over 5 weeks old. We’re going with the orange one. Her name will be Lexey. Who’s smarter: This Border Collie or your bird dog? Check out this issue of Nova Science Now : How Smart Are Dogs?, hosted by the big brained Neil deGrasse Tyson. It tells the story of Chaser, a Border Collie who’s pretty darn smart. The video is a bit long, but it’s worth watching just to see how much a dog can learn to do. More puppy pics! 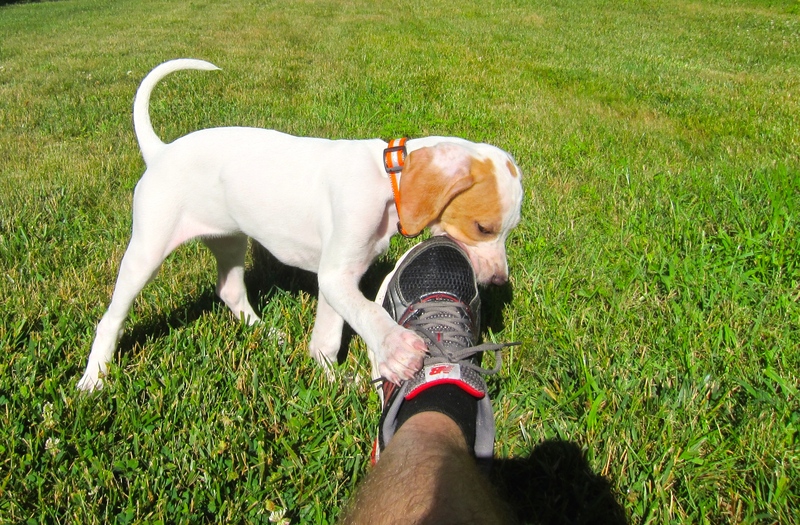 Our new pointer is getting big…. 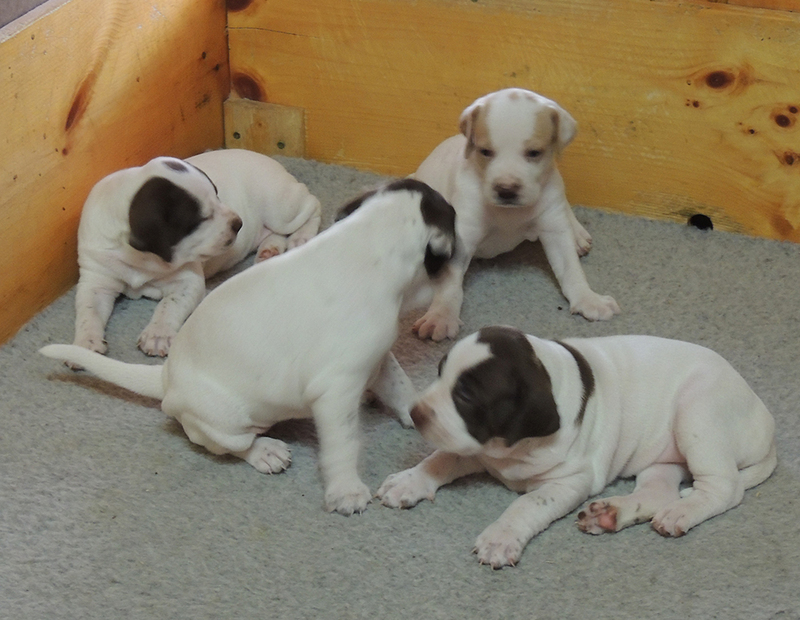 Here are the latest pics of the puppies. 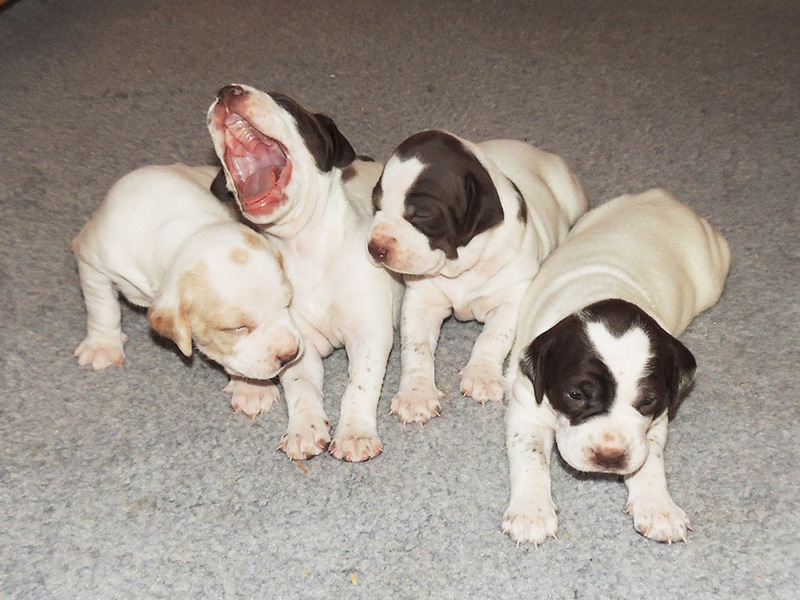 These pics were taking a few days ago when the pups were 25 days old. They should be starting on solid food soon. 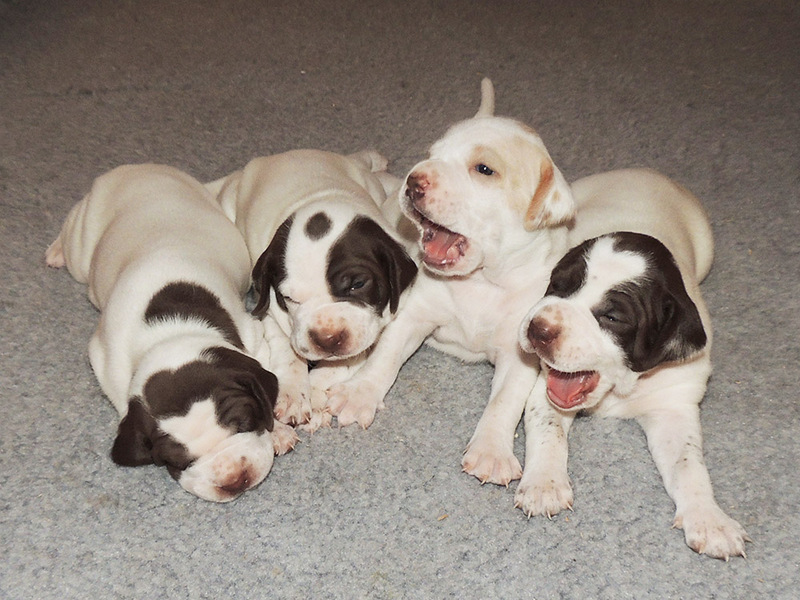 These pups are from Superior Pointers’s Striking Elhew Rex x Striking Elhew Haley. They’re all females. My wife and I are loving that little yellow girl. The wife has picked a name, too: Lexey – a nice tribute to the parents. 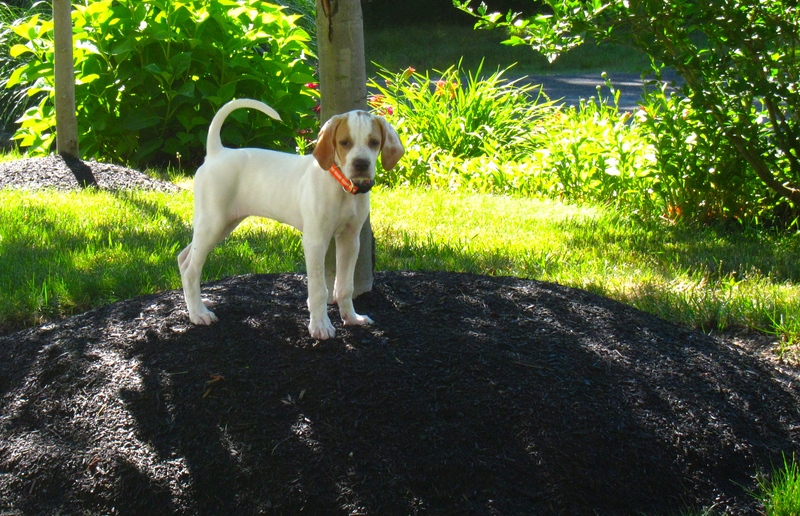 HUNTING DOGSdog, haley, hunting, litter, Pointer, Puck, pup, puppiels, rex, Superior Pointers8 Comments on More puppy pics! 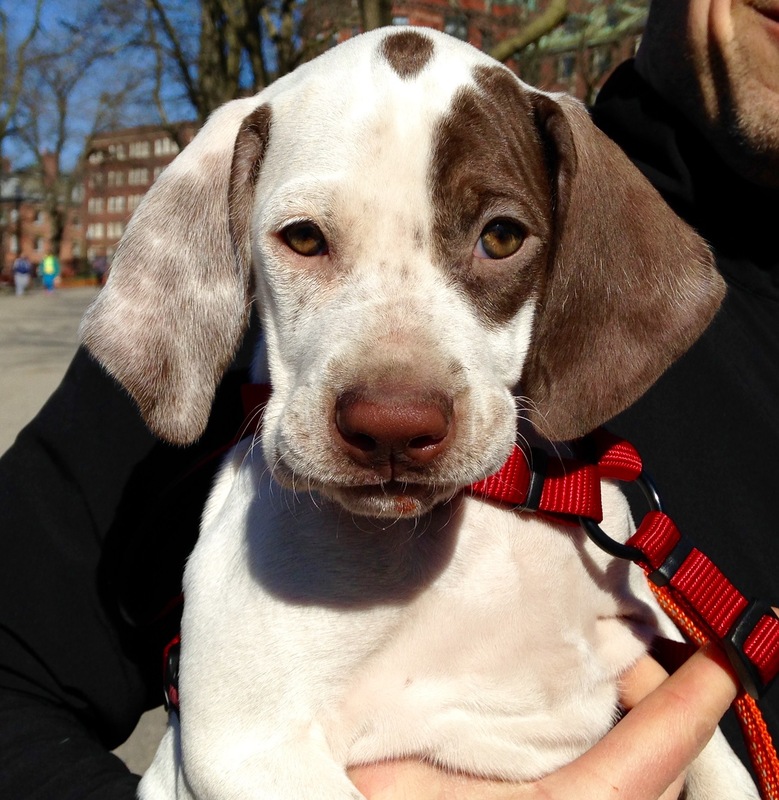 Our new pointer is getting big…. Letting go, and starting over…..
Puck passed away almost 8 weeks ago. Her bed is still on the floor in my office, and I still glance over at it and expect to see her looking back. This spring has been strange. I didn’t realize how much my life built around on having Puck by my side. From chasing spring woodcock to daily walks in the woods, I did so much with her this time of year. I’ve missed all that since she has been gone, and that part of my life feels stagnant and empty. Fortunately, I have a pup on the way. She should be here around July 3. I started looking for another pointer a couples years ago. The plan was for my wife and I to raise a pup and while we eased Puck into retirement. Life arranged things differently, though. 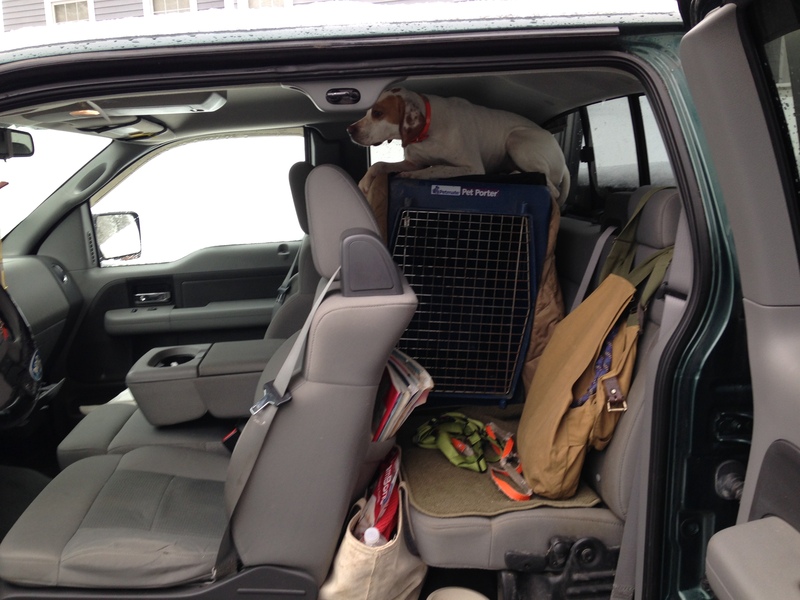 Our pup is coming from Superior Pointers in Bayfield, WI. 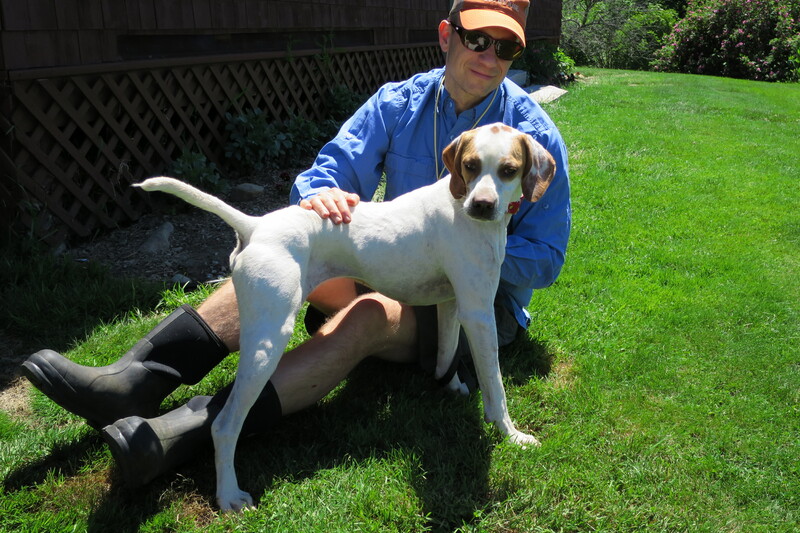 She’s out of Striking Elhew Rex x Striking Elhew Haley, and we’re hoping she’s a lot like Puck. Her breeding is similar – almost all Elhew – with lots of Elhew Strike, Elhew Kiwi, Snakefoot, and Guardrail in her. Mark and Kathy Wendling own Superior Pointers. They impressed me with their passion, dedication, and kindness . 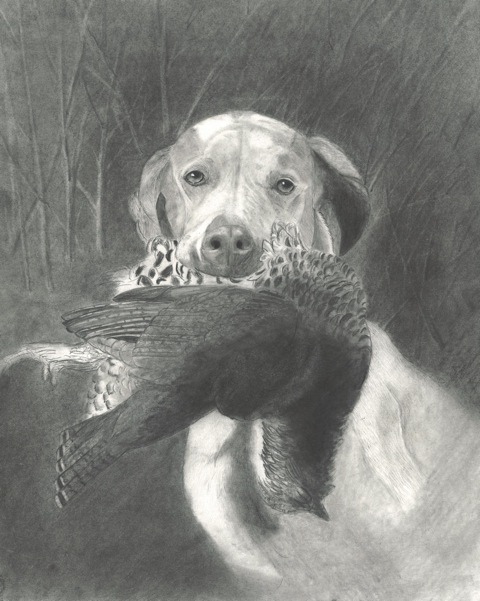 They “…hunt, and breed, only pure Elhew Pointers with lineage tracing exclusively to matings personally designed by Elhew Kennels’ founder, Robert G. Wehle.” If you have some time, I suggest checking out the “Rambling Thoughts” section on there website. There’s a lot of valuable advice there. 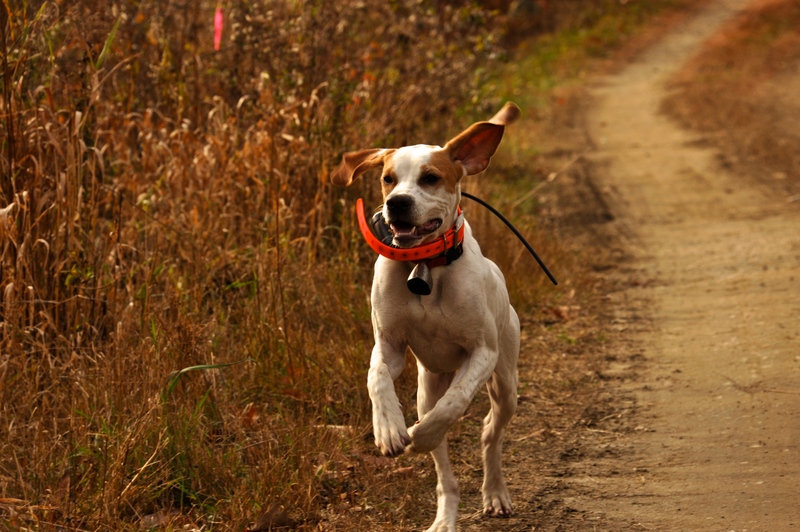 HUNTING DOGSdog, haley, hunting, litter, Pointer, Puck, pup, puppiels, rex, Superior Pointers9 Comments on Letting go, and starting over….. Thank you to everyone who commented on yesterday’s post about Puck. It’s a shame that so many of you have been through the same thing. My wife and I appreciate the condolences, stories, and kind words a great deal. Losing Puck has been tough, and your notes are a great comfort to both of us. Puck’s bed is beside me here in my study, and I’ve turned to it several times this morning thinking she’ll be there, ready with wagging tail to go for a walk or for just a rub on the ear. I shot this videos just over a week ago. Puck and I were out looking for spring woodcock. I thought we would get out several more times this spring, but fate decided this would be our last day in the field together. Back before I got Puck, I had a thing for the less popular sporting breeds – Vizlas, Griffons, French Spaniels, etc. I also liked Clumber Spaniels. From what I’ve been told, Clumbers used to be popular in the UK. 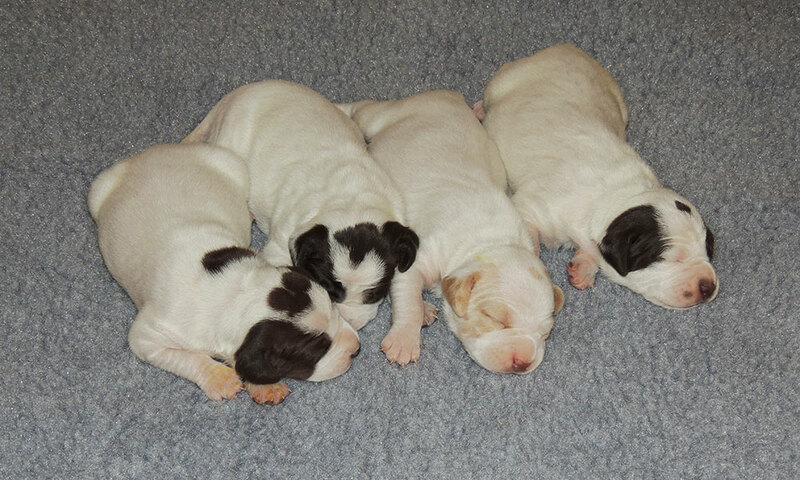 Today, there numbers are extremely low – according to The Working Clumber Spaniel Society, there are just 134 registered Clumber Spaniels in the UK today. 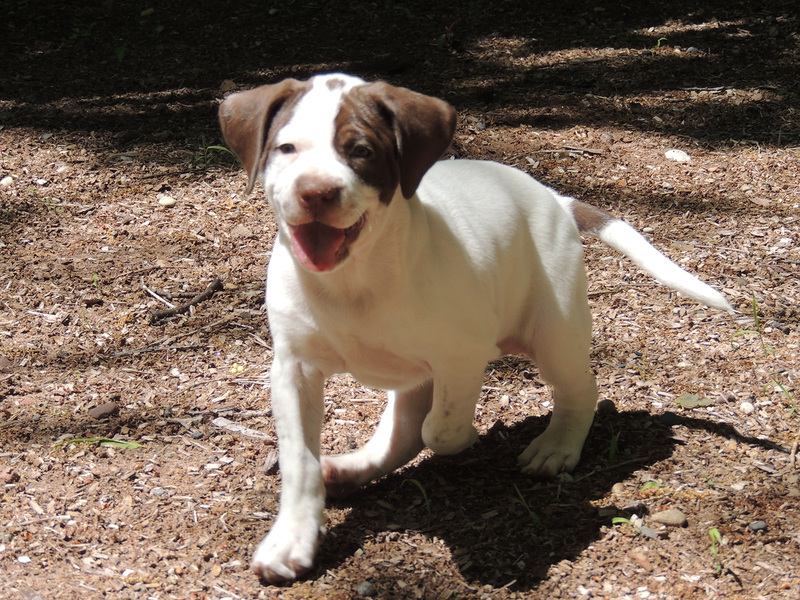 There are a few of them in the North America, too, and The Clumber Spaniel Club of America does a lot of work to support the breed over here.